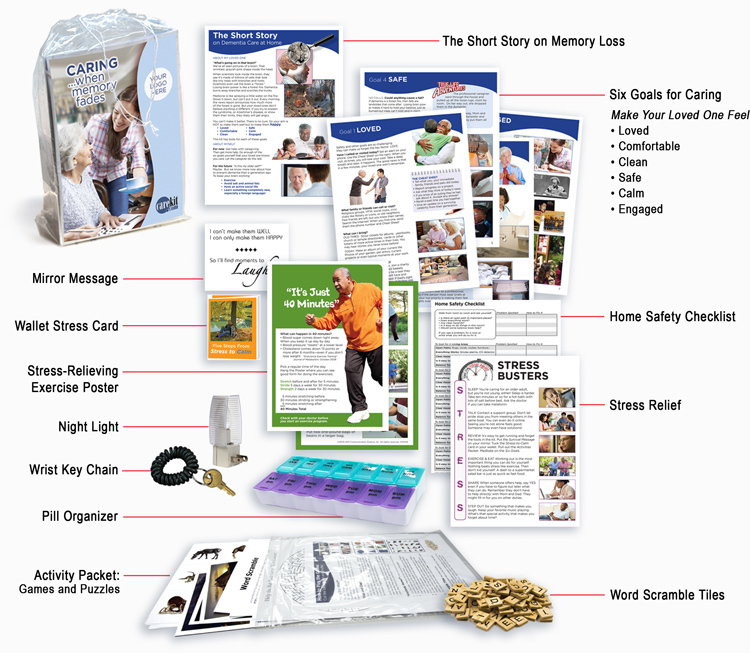 This Care Kit collects the wisdom of families who have struggled with their loved ones’ decline. See here what they’ve learned about how to manage. You’ll find the most practical tools and priorities, directly from families’ experience, letting you achieve caregiving goals and minimizing the stress. Don’t go it alone—listen to people who’ve learned the hard way!